Delta II is an American space launch system developed by McDonnell Douglas, now part of the Delta rocket family operated by United Launch Alliance. 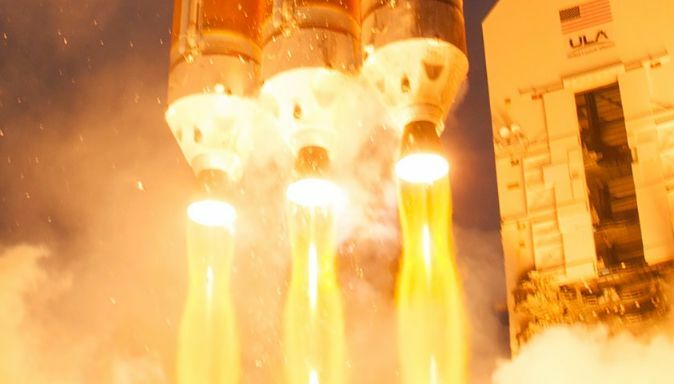 With more than 150 missions and a nearly perfect track record, Delta II has established itself as one of the most successful orbital launch systems. 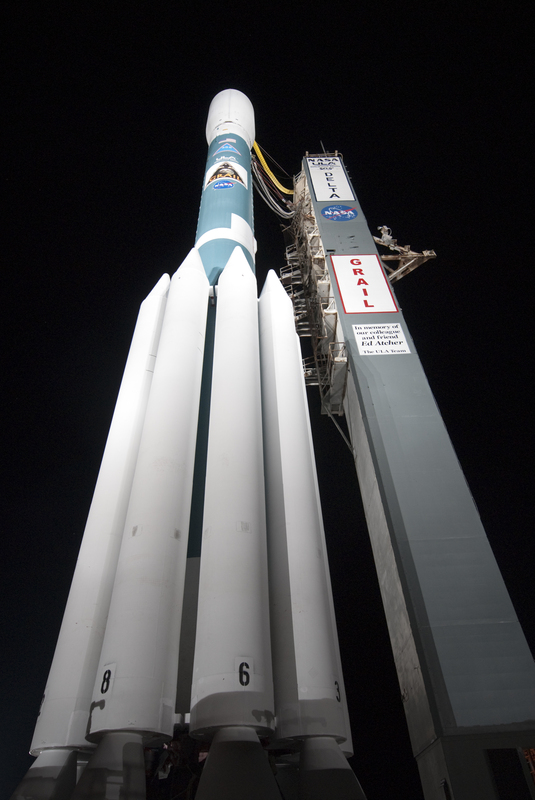 The Delta II is an updated and modernized version of the Thor-Delta rocket series that was developed in the 1960s and performed a number of high-profile NASA missions. Delta production came to a halt in the 1980s when NASA’s shifted all of its missions to the Space Shuttle. In 1986, McDonnell Douglas re-started Delta production for launches of US Air Force satellites, particularly GPS spacecraft. 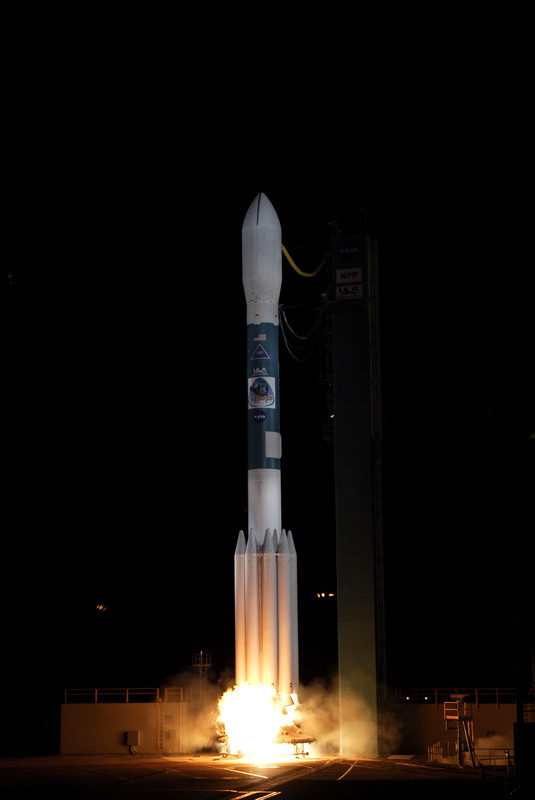 The new Delta II vehicle featured a stretched first stage, different booster options, a wider payload fairing and the option of adding a third stage. 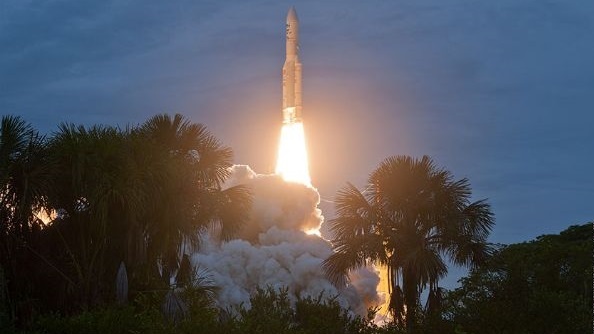 The first Delta II flew in 1989 launching a GPS satellite, marking the start of a very successful career that included numerous NASA launches including high-profile missions like the Mars Global Surveyor, Mars Odyssey, Kepler, the Spirit and Opportunity rovers and the Mars Phoenix lander as well as numerous Earth observation missions that targeted low orbits. As the Delta IV and Atlas V became available and established themselves as reliable launchers, Delta II approached the end of its career. 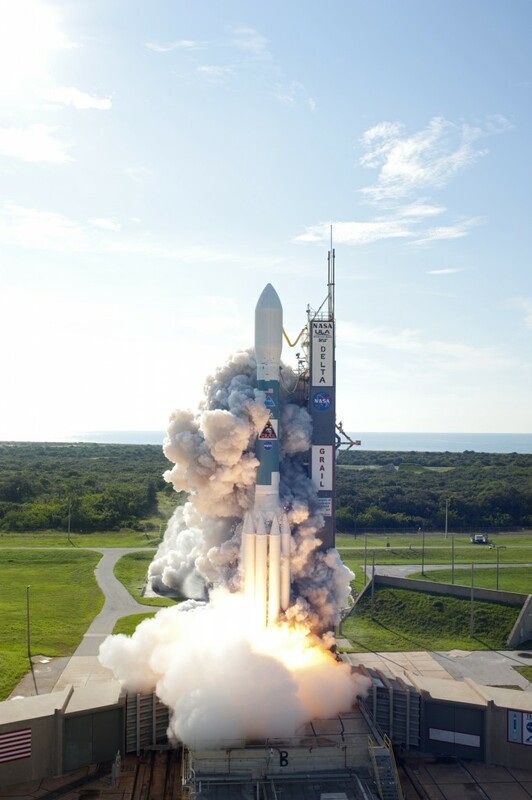 The launch of NASA’s GRAIL Twins in 2011 was Delta’s last planned launch, although United Launch Alliance had components for five additional Delta II vehicles available which will allow Delta II to make a brief comeback. Four of those five launchers were secured by NASA to deliver satellites to orbit between 2014 and 2017. Delta II is available in a number of different versions using different solid rocket motors, various fairings and optional third stages. Delta II uses a Delta XLET first stage that is powered by an RS-27A engine consuming Liquid Oxygen and Kerosene propellants. Clustered around the first stage can be three, four or nine solid rocket motors of different types to tailor the launcher for different payloads depending on the payload mass and the target orbit. Sitting atop the first stage is a Delta K second stage with an AJ-10 engine burning hypergolic propellants. Optionally, a solid-fueled third stage can be used to reach high-energy trajectories. Different payload fairing options are available. The Delta rocket is available in various versions that have a numerical designation. The Delta II 6000 series flew until 1992 featuring the RS-27 first stage engine that was replaced by the RS-27A of the Delta II 7000 series with a higher-expansion nozzle. The second digit of the technical name indicates the number of boosters and is either a 3, 4 or 9. The third digit is always a 2, denoting a second stage with AJ-10 engine – only missions prior to Delta 6000 used a different second stage. Finally, the fourth digit represents the upper stage – a 0 indicates that no upper stage is used, a 5 indicates a Star 48B solid rocket motor and a 6 stands for a Star 37FM upper stage. An extension to the technical name such as a –10C indicates the type of payload fairing that is used. The letter ‘H’ after the numerical designator stands for ‘Heavy’ and indicates that the launcher uses more powerful solid rocket motors. 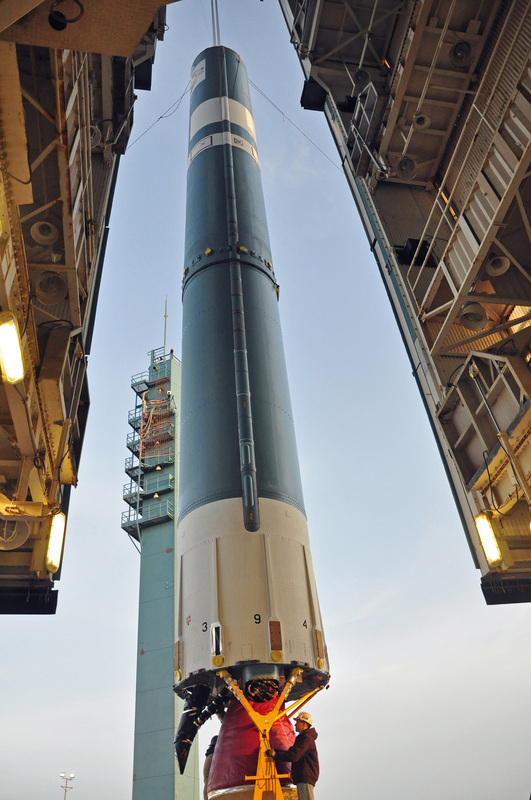 The Delta II rocket is operated from Space Launch Complex 17B at Cape Canaveral Air Force Station and Space Launch Complex 2W at Vandenberg Air Force Base allowing the launcher to target all types of orbital inclinations. Delta II has a Low Earth Orbit payload capability of 2,070 Kilograms in its 7320 version up to 6,140 Kilograms in the 7920 Heavy configuration. The launcher can deliver payloads of up to 2,190 Kilograms into a Geosynchronous Transfer Orbit while the maximum Earth escape payload is 1,520 Kilograms. In its different versions, Delta’s launch mass varies from 152,000 to 231,870 Kilograms at a vehicle length of 38 to 39 meters. 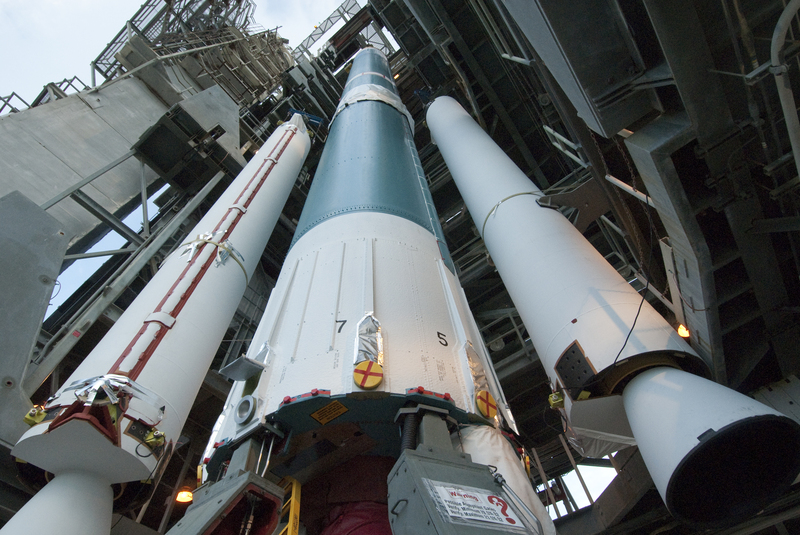 The Delta II 7920 launch vehicle uses the standard first stage, an Extra Long Extended Tank Thor first stage powered by a single RS-27A engine consuming Rocket Propellant 1 and Liquid Oxygen. Clustered around the first stage are six ground-lit and three air-lit GEM-40 solid rocket motors that deliver extra thrust to the vehicle for the initial flight phase. As second stage, the vehicle uses the standard Delta-K that sports one AJ-10-118K powerplant burning hypergolic propellants. Three different payload fairings are available for the vehicle. The Delta II in its 7920 configuration stands 38.9 meters tall with a core diameter of 2.44 meters and a total launch mass of 228,000 Kilograms. It can lift 4,850 Kilograms into a 200km Low Earth Orbit and 3,000kg into a Sun Synchronous Orbit. The first stage is common across the entire Delta II family. It is based on the Thor booster featuring its basic design with stretched propellant tanks and using the upgraded RS-27A engine. Delta II’s first stage is 26.1 meters long and 2.44 meters in diameter with an empty mass of 5,680 Kilograms capable of holding 96,120 Kilograms of propellants – Rocket-Propellant 1 (Kerosene) and –183°C liquid Oxygen. The first stage consists of an engine compartment, the liquid oxygen tank section, an intertank area, the fuel tank section and the interstage. Aluminum isogrid shells and aluminum domes are used for the propellant tanks. 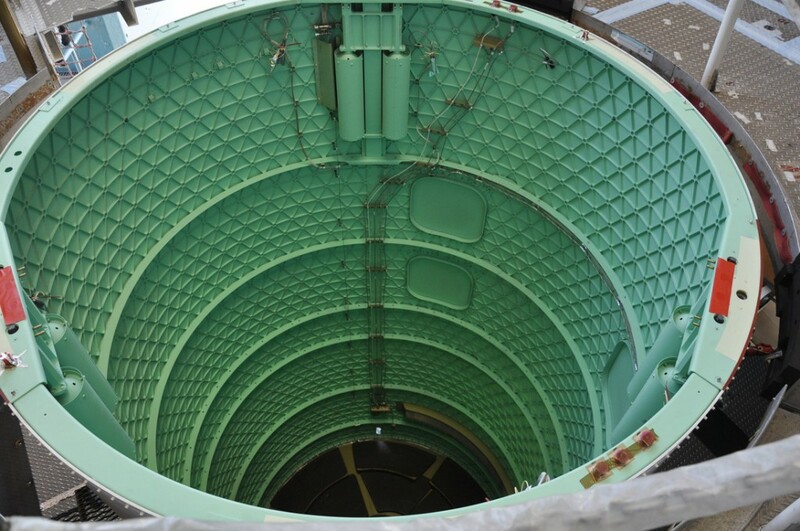 The tanks use separate bulkheads, creating a small intertank section which is utilized for the first stage electronics featuring hinged side panels for easy access to the intertank section. Tank pressurization is accomplished with pressurized Helium gas generated by a heat exchanger on the engine. The interstage section connecting the first and the second stage also uses an aluminum isogrid structure. It is approximately 4.7 meters long and facilitates the nozzle of the second stage engine and the lower 2nd stage section. Loads from the first stage up to the second stage and payload fairing are transferred via the interstage that also includes power and data umbilicals connecting the first stage to the flight control system hosted on the second stage. For stage separation, pyrotechnic bolts are used to severe the structural connection between the stage while the separation is accomplished using a spring-loaded mechanism. 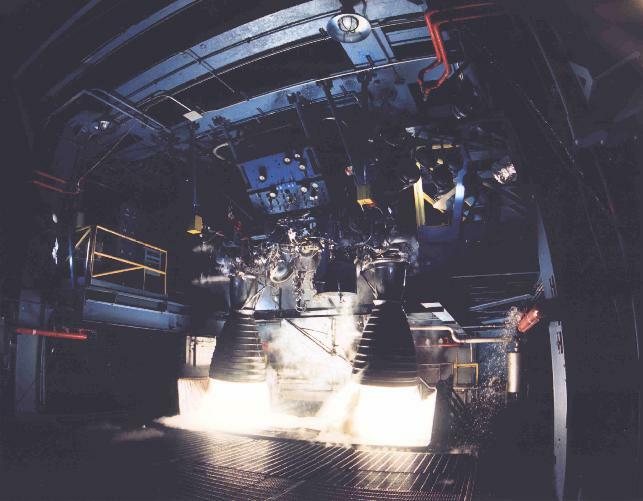 The Thor first stage is powered by an RS-27A engine designed by Rocketdyne as RS-27 in the 1980s and being improved by extending the nozzle of the original RS-27 from an area ratio of 8:1 to 12:1 in order to optimize the engine’s operation at higher altitudes in terms of thrust and impulse. The engine is an open-cycle gas generator engine, consuming LOX and RP-1 propellants. Featuring an open cycle, the engine burns a fraction of the propellant inflow in a Gas Generator that produces a high-pressure gas that drives a turbine that powers the turbopumps of the fuel and oxidizer, both pumps are mounted on a single shaft. In an open cycle, the gas from the gas generator is discarded as exhaust after driving the turbine. 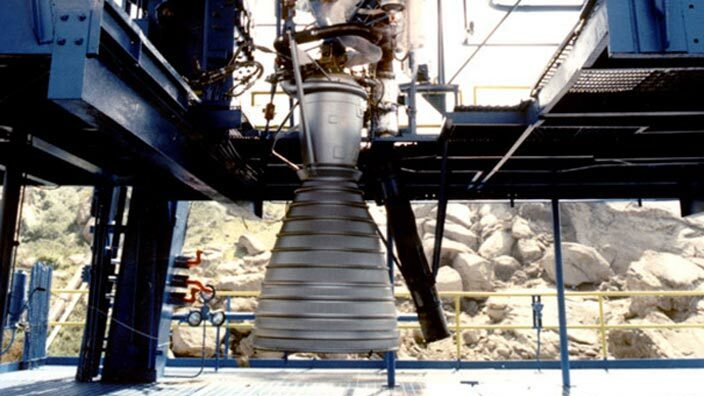 RS-27 uses regenerative cooling – flowing the fuel through the combustion chamber and nozzle heat exchanger before it is injected in the combustion chamber. The engine operates at a low chamber pressure of 48 bar and requires a propellant mixture ratio of 2.25. RS-27A stands 3.78 meters tall and is 1.07 meters in diameter with an empty mass of 1,147 Kilograms. It delivers 890 Kilonewtons of sea level thrust at a specific impulse of 254 seconds. In vacuum, the engine outputs 1,054 Kilonewtons of thrust with an impulse of 302 seconds. The engine can only operate at its 100% thrust setting. RS-27A is gimbaled for vehicle control in pitch and yaw during powered flight. For roll control and attitude stabilization when RS-27 shuts down, Delta II implements two gimbaling LR-101 vernier engines that are part of the first stage engine compartment. Having two gimbaled engines allows control in yaw, pitch and roll. The LR-101 are provided with propellants from the RS-27 turbopump during powered flight and are capable of operating on the tank-pressure-fed propellant flow after main engine cutoff to provide vehicle control during the short non-propulsive flight between first stage cutoff and staging. LR-101 delivers 4.4 Kilonewtons of thrust when supplied by the turbopump and 3.7 Kilonewtons in tank-fed mode leading to impulses of 207 and 197 seconds, respectively. The engine uses a spark igniter and operates at chamber pressures of 28 and 21 bar in the different modes of operation. It requires a propellant mixture ratio of 1.8 and weighs about 25 Kilograms. Each engine can be gimbaled independently for vehicle control using a hydraulic system. The first stage of Delta II ignites its RS-27 main engine and the two verniers at T-2.5 seconds to allow for a short period of engine throttle-up and monitoring before the boosters ignite and the vehicle is committed to flight. The RS-27A main engine burns for 264 seconds followed by eight seconds of operation of the LR-101 engines ahead of stage separation as the second stage assumes control of the flight. In its 7920 configuration, Delta II has nine GEM-40 Solid Rocket Motors installed on its first stage to deliver additional thrust to the launch vehicle for the initial portion of the ascent. Six of the boosters are ignited on the ground to enable the vehicle to leave the launch pad and begin its climb into orbit. After burnout and separation of the six ground-lit SRMs, the next set of three is ignited to continue supplying additional thrust to the launch vehicle. GEM-40 is manufactured by Alliant Techsystems, ATK. The graphite-epoxy motor is 11.05 meters long and 1.03 meters in diameter with an empty mass of 1,102 Kilograms, filled with 11,766 Kilograms of solid propellant at launch. The SRM uses Hydroxyl-terminated polybutadiene (HTPB)-based solid propellant to create a maximum thrust of 644 Kilonewtons. The average thrust over its 63.3-second burn time is 499 Kilonewtons as the SRM operates at an average chamber pressure of 56 bar. The GEM-40 solid rocket motors have a fixed nozzle canted outward to direct the exhaust away from the launch vehicle and provide additional stability during the boost-stage of the flight. The nozzles have a diameter of 0.82 meters and an area ratio of 11. After burnout, the SRMs are separated pyrotechnically using a redundant system. The SRM ignition system also implements redundancy to guarantee a good, simultaneous ignition of all three boosters. 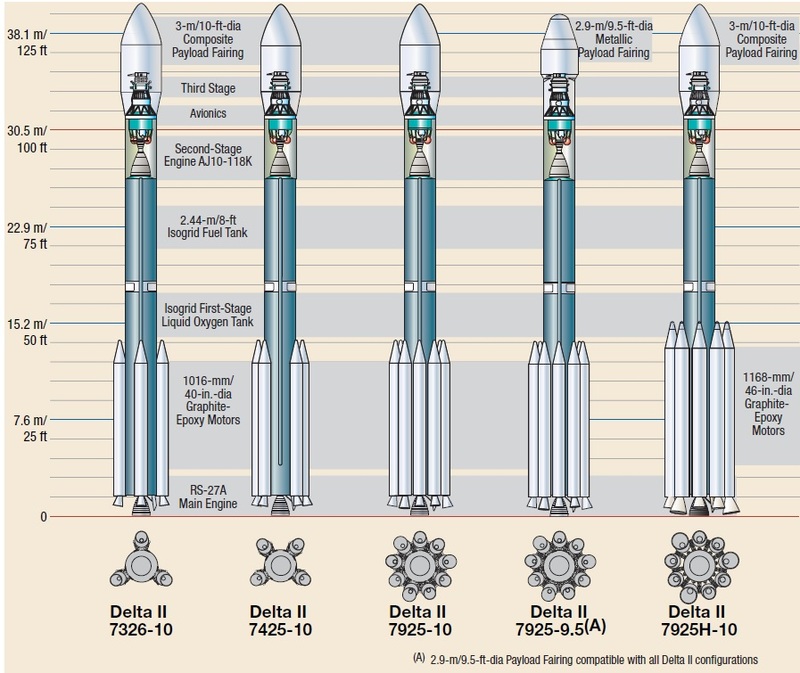 The Delta II uses a Delta-K second stage powered by a single AJ-10-118K hypergolic engine to provide re-start capability allowing the vehicle to reach a variety of orbits and trajectories. Delta-K is 5.97 meters long and 1.7 meters in diameter weighing around 6,950 Kilograms at launch including about 6 metric tons of propellants. The second stage consists of a fuel and oxidizer tank assembly an engine compartment, helium and nitrogen spheres and an equipment bay on the forward end. A Miniskirt and Support Truss installed on the second stage provides the attachment interface of the payload fairing. The tanks consist of an aluminum isogrid structure and feature a common bulkhead between the oxidizer and fuel tank. Delta-K uses Nitrogen Tetroxide oxidizer and Aerozine-50 as fuel, a 50/50 mixture of Hydrazine and Unsymmetrical Dimethylhydrazine. Mixing these two components increases its stability when compared with pure hydrazine and also increases the density and boiling point of pure UDMH. The second stage is equipped with an AJ-10-118K pressure-fed engine that does not use a turbopump, relying on the tank pressurization to provide the propellants at the proper pressure levels. Fuel and oxidizer flow and pressure is regulated by two valves before the two components are injected into the combustion chamber where they ignite upon contact. The engine uses ablative cooling, not requiring any complex heat exchanger systems. Tank pressurization is accomplished using helium gas that is heated up in a heat exchanger on the engine and fed to the tanks via pressure regulators to maintain the proper tank pressures in flight. 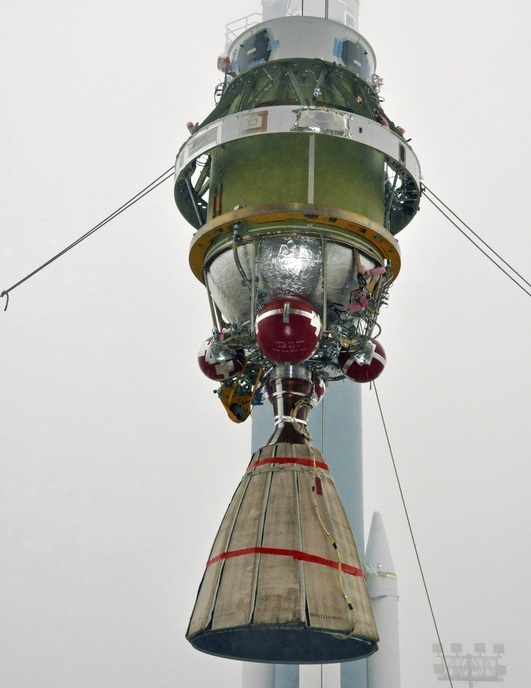 Helium is stored in spherical bottles mounted outside the propellant tank assembly. AJ-10-118K delivers a vacuum thrust of 43.4 Kilonewtons with a specific impulse of 319 seconds. The engine weighs 98 Kilograms and has a high expansion ratio of 65 for optimized operation in vacuum conditions. It operates at a mixture ratio of 1.9, a chamber pressure of 89 bar and can be re-started several times – up to six re-starts have been demonstrated in flight. This allows Delta II to reach circular orbits at various altitudes using an elliptical transfer orbit scheme, or target Geosynchronous Transfer Orbits and escape trajectories. The engine is gimbaled by a hydraulic system for pitch and yaw control during propulsive flight. Roll control during propulsive flight phases and three-axis control during cruise phases is provided by a cold-gas attitude control system utilizing high-pressure nitrogen that is stored in a tank installed on the underside of the propellant tank. The attitude control system includes full redundancy to be able to ensure a good vehicle stabilization throughout the mission. The second stage can burn up to 500 seconds. The second stage of the launcher hosts the Flight Control System that controls all aspects of the flight and acquires precise attitude control data for actuation of the various controllers aboard the launcher. Delta II has been modernized to use the RIFCA control system – Redundant Inertial Flight Control Assembly. RIFCA uses six accelerometers and six Ring Laser Gyros for precise attitude determination with built-in redundancy. The Payload Fairing is positioned on top of the stacked vehicle and its integrated payloads. It protects satellites or other spacecraft against aerodynamic, thermal and acoustic environments that the vehicle experiences during atmospheric flight. When the launcher has left the atmosphere, the fairing is jettisoned by pyrotechnically initiated systems. Separating the fairing as early as possible increases ascent performance. Payload Fairing design limits Payload Volume. 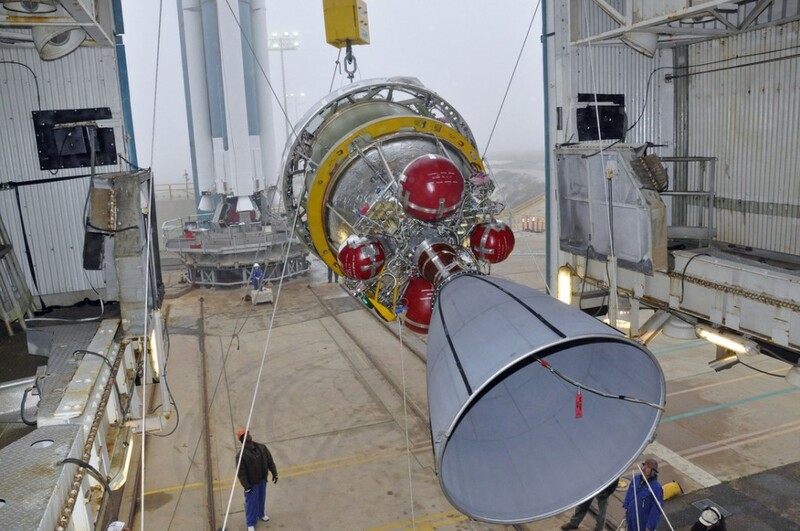 Delta II can use a metallic fairing 2.9 meters in diameter and 8.5 meters in length featuring a sandwich construction with an aluminum core and graphite epoxy sheets. 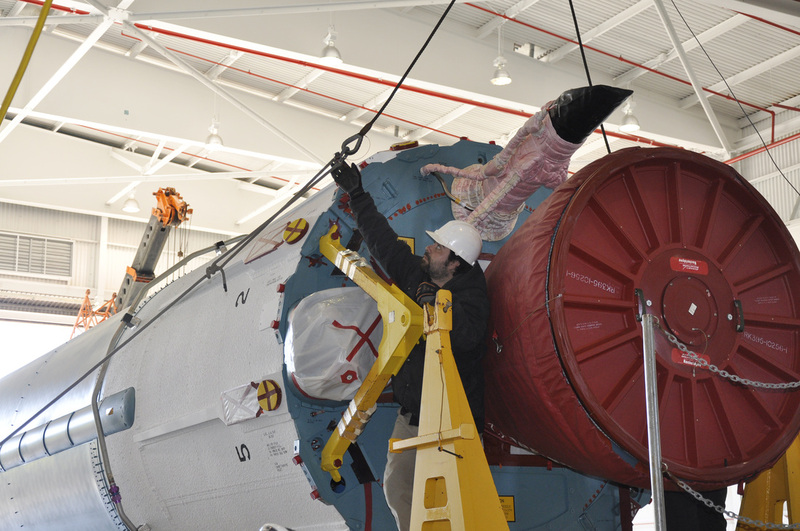 The fairing is separated by pyrotechnic initiators driving pneumatic pushers that allow the fairing to rotate outward on hinges before cleanly dropping away from the launch vehicle. 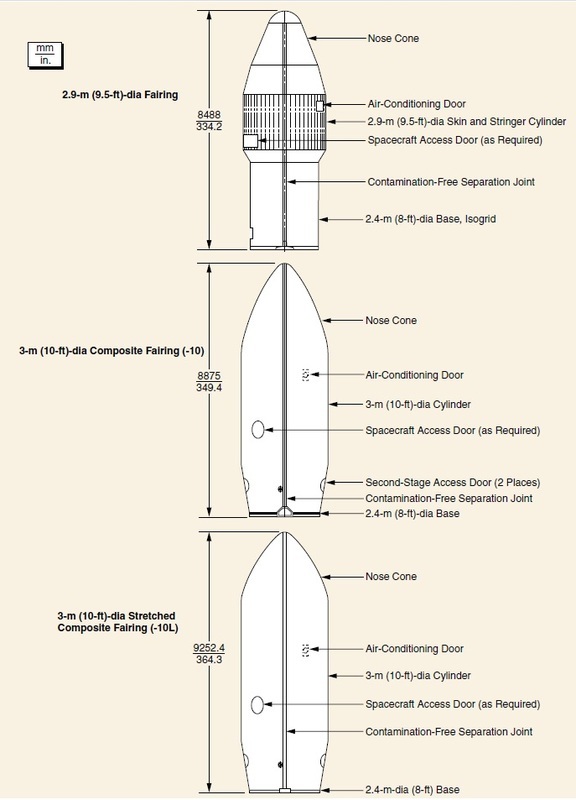 Also available for the Delta II are two composite fairings, both are three meters in diameter but have different lengths. The shorter of the two fairings is 8.88 meters long while the extended fairing features a longer cylindrical section for a total fairing length of around 9.25 meters. Payload Adapters interface with the vehicle and the payload and are the only attachment point of the payload on the Launcher. They house equipment that is needed for Spacecraft Separation and ensure that the satellite or spacecraft is secured during powered flight. A variety of payload adapters is available to satellite customers in order to fit a large number of spacecraft dimensions and interfaces. Several different adapter models are currently available. Most of those have a clamp band payload separation mechanism. It is also possible to design new adapters to accommodate a variety of spacecraft.